Greetings! A few weeks ago, Nerd Lacquer did a surprise restock complete with 3 new colors! Of course, the restock was at like 3AM, so by the time I woke up, two of the new colors were already sold out. 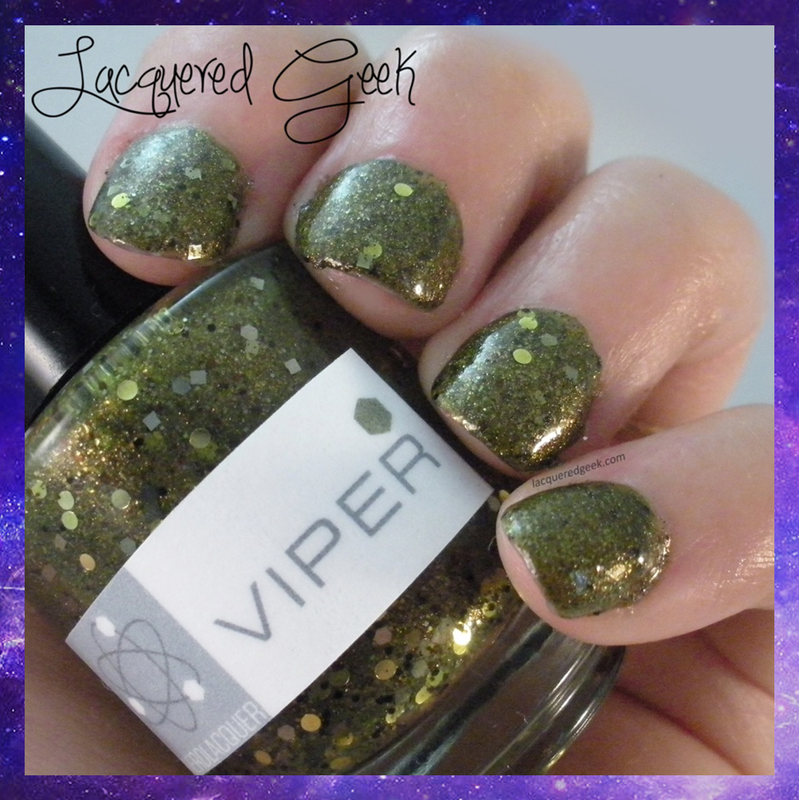 I was able to snag Viper, and I want to share it with you today! 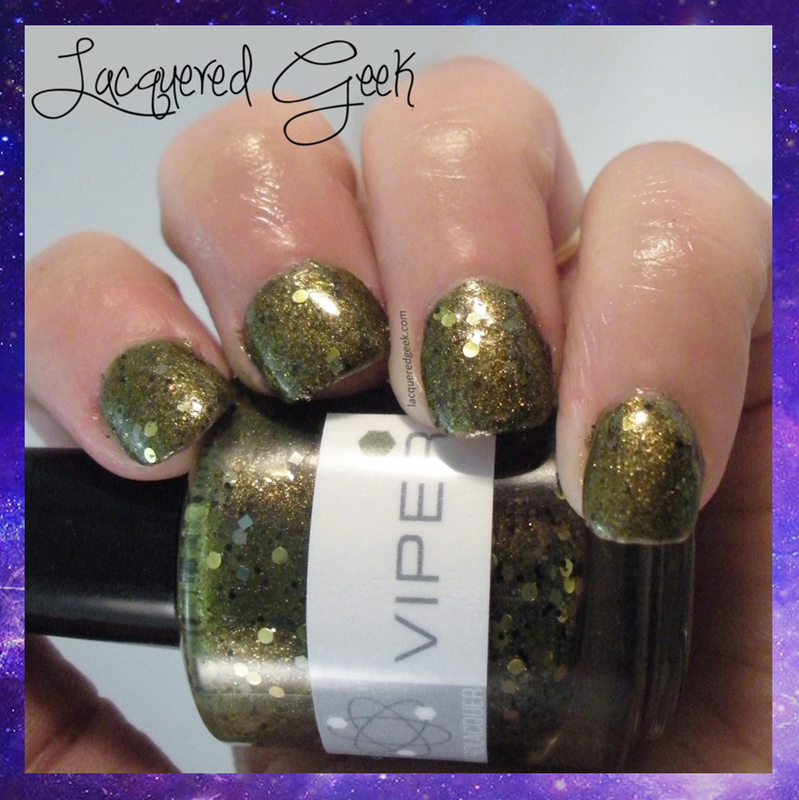 Viper is a gorgeous olive green with a golden shimmer. To make it even more amazing, it's got bronze, gunmetal, and gold glitters! I absolutely love it! I'm wearing 2 coats for these photos. My only complaint with the formula was that the dry time was longer than I've usually seen with other Nerds, even with a quick dry topcoat. I had to re-do my ring finger after the photo above because my pinkie came away with a good chunk of the polish. Were you able to pick up a new favorite during her last restock? I managed to get most of my lemmings in the two restocks! (Living in Europe has its perks. ;-)) I only want Frak, Ragnar, HK and Gotter - then I have all the Nerds I want! Ugh this is beautiful.. 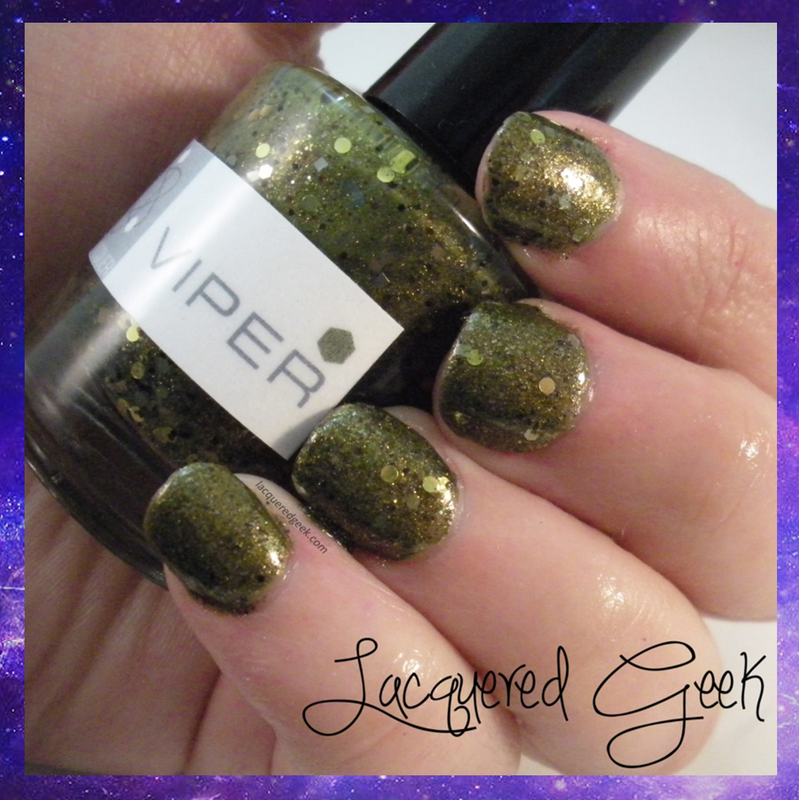 I haven't tried any of Nerd Lacquers polishes but this just proves that I should!